WWith more than 1 700 meeting venues across South Africa, and international convention centres located in Johannesburg, Cape Town, Durban, Pretoria, East London and Port Elizabeth, South Africa is amply equipped to take care of your meeting and events needs. Our largest meeting venues accommodate more than 20 000 delegates and come fully equipped with the latest technology and communications infrastructure. Three stars. 53 guest cottages sleeping three and six guests. Meeting venue: 300 delegates cinema-style plus three breakaway rooms. Three stars. 85 rooms. Nine meeting venues. Largest venue: 400 delegates cinema-style. Spectacular mountain backdrop. 34 guest rooms. 28 self-catering chalets. San rock art, fun activities. 5 conference rooms. Largest venue: 400 delegates. Three stars, 163 guest rooms. Mineral baths, game drives. Four meeting venues. Largest meeting venue: 450 delegates cinema-style. 220 guest rooms. Big 5 game drives. Two golf courses, one with extreme 19th hole. Three meeting venues. Largest venue: 500 delegates cinema-style. Four stars. Casino, restaurants, bars, shows. Four meeting venues. Largest venue: 600 delegates cinema-style. Three stars. Dedicated conference hotel. 72 guest rooms. Six meeting venues: six Largest meeting venue: 1 000 delegates cinema-style. Four stars. 150 guest rooms. Golf course, team building. 13 meeting venues. Largest venue: 1300 delegates cinema-style. 45000-seater stadium. Various meeting venues and executive suites, indoor/outdoor exhibition areas. Largest meeting venue: 500 delegates cinema-style. Five stars. 20 suites. Team building, Big Five safari, spa. Largest meeting venue: 60 delegates cinema-style. Three stars. 106 guest rooms. 15 conference venues. Largest meeting venue: 2 000 delegates cinema-style. Four stars. 64 guest rooms. 18-hole championship golf course, hydro cable car. Two meeting venues. Largest venue: 200 delegates cinema-style. 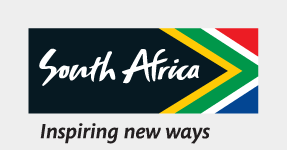 If I want to plan a meeting, exhibition or incentive in South Africa, how can the SANCB website help me? I want to find a suitable venue in South Africa to host my conference or meeting. How should I go about it? What kind of support can I expect from the SANCB? What can I expect when I get there? Why should I choose South Africa to host my meeting or congress? South Africa is home to approximately 52 million people. A diverse nation in its truest form. The South African family tree is made up of 8.9% white, 79.2% black,8.9% coloured (a term used in South Africa to describe people of mixed race.) and lastly 2.5 % Indian. South Africa has 11 official languages you can choose from. Our list official languages include English, Afrikaans, isiNdebele, isiXhosa, isisZulu, Sepedi, Sesotho, Setswana, Siswati, Tshivenda, and Xitsonga. Although only 10% of the population has English as its mother tongue, it is the language that is the second language to most South Africans. The most practiced religion is Christianity in South Africa with a fair number of Hindu, Muslim, Jewish and Buddhists believers. Thanks to our awesomely structured Consitution everyone has the freedom to worship any faith.